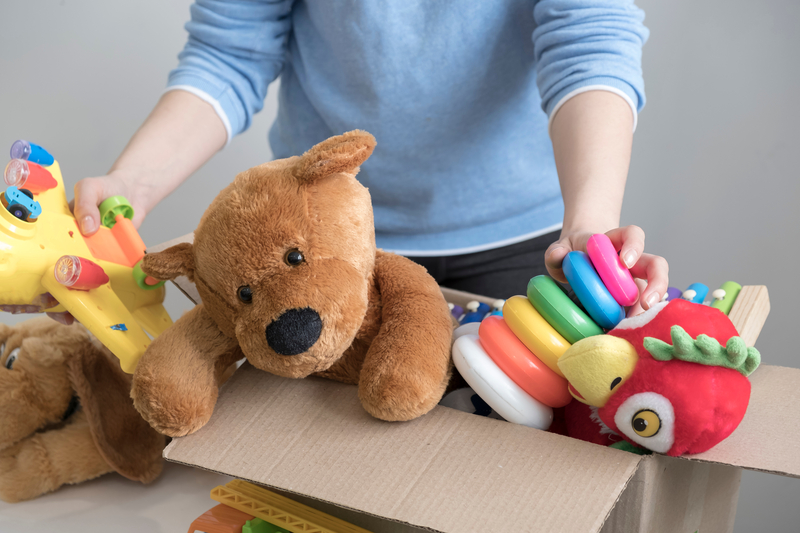 To help those affected by the Camp Fire, especially children, Dickson Realty agent Brock Marquez is working with local nonprofit Ashlee’s Toy Closet to collect donations that will be delivered directly to Chico, California. “Whatever someone is willing to give, we’ll take, and we’ll figure out the best way to donate it,” Marquez said. Some of the most needed items include gift cards, gloves, shovels, new toys, and new blankets, said Ashlee Smith, 13, who launched Ashlee’s Toy Closet in 2007 to help the victims of the Angora Fire in South Lake Tahoe. “Our primary goal is to get new toys for the kiddos, but we know adults come with the kids,” said Ericka Smith, Ashlee’s mom. Ashlee’s Toy Closet will collect donations from many locations in Reno, Sparks and Tahoe, and then deliver those items to people in need in the Camp Fire area. To donate at a Dickson Realty location, visit one of these places before Friday, November 16. Ashlee’s Toy Closet plans to distribute the donations on Friday, Nov. 23, after Thanksgiving. The nonprofit will also organize another round of donation collections and distributions closer to Christmas. Rotary clubs in District 5160, which includes the town of Paradise, California, want to raise $100,000 in emergency relief fund to help those affected by the Camp Fire. Many of the Rotarians in District 5160 are directly connected with the victims and understand their immediate needs including medicine, food, clothing, housing, transportation, toiletries, and pet food expenses. District 5160 will distribute funds through their clubs. To make a tax-deductible donation, visit givingtrail.org/campaigns/200040/rotary-district-5190-emergency-fire-relief. The American Red Cross has opened shelters across the state to help evacuees. The organization also has an online tool people can use to register themselves as safe. To donate online, visit redcross.org/donate/donation.html. California Community Foundation’s Wildfire Relief Fund has offered aid to those affected by wildfires for 15 years. Grants help rebuild homes, provide financial and mental health assistance and get medical treatment for those affected. To donate, visit connect.calfund.org/give/wildfirerelief. Through the California Fire Foundation’s emergency assistance program, firefighters distribute pre-paid gift cards to help those who need to purchase necessities such as food, medicine, and clothing. To donate, visit cafirefoundation.org/programs/supplying-aid-to-victims-of-emergency. Caring Choices, a nonprofit in Chico, organizes volunteers to help those affected by the Camp Fire. The organization has paused taking on new volunteers for the next few days but still encourages applications. It said it will need extra hands in the coming weeks. To donate or volunteer, visit caring-choices.org/home.html. Enloe Medical Center, a 298-bed hospital in Chico, is accepting donations for patients and families who have been displaced. The North Valley Community Foundation in Chico is raising money to support churches, fairgrounds and community centers that are sheltering evacuees of the Camp Fire. United Way of Northern California has established a disaster relief fund to offer emergency cash and help to people who have lost their homes, according to a news release.